An intense connectedness with Nature, a passionate expression through it, the recycling of organic material and a very fine definition of aesthetics: Lae's unique art practice extended to a lifestyle and an art of living. 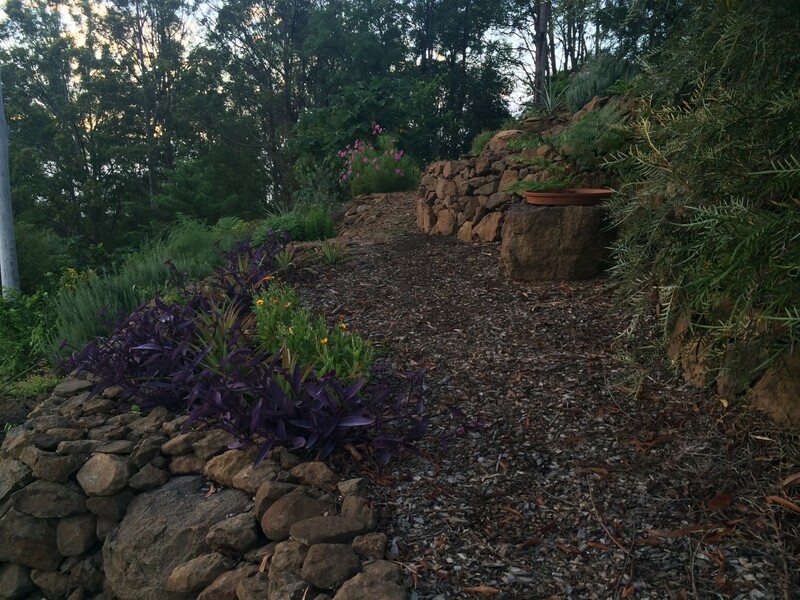 Lae: "The years I spent in Greece in the nineties, adapting to Mediterranean ways and growing conditions, stood me in good stead as I began years later in Australia to transform a steep, weed-infested patch of land into a garden, moving thousands of rocks by hand to create retaining walls and winding, terraced walkways”. It took Lae Oldmeadow six years to complete the landscaping of what is now a six-thousand-square-metre sanctuary dedicated to nature. 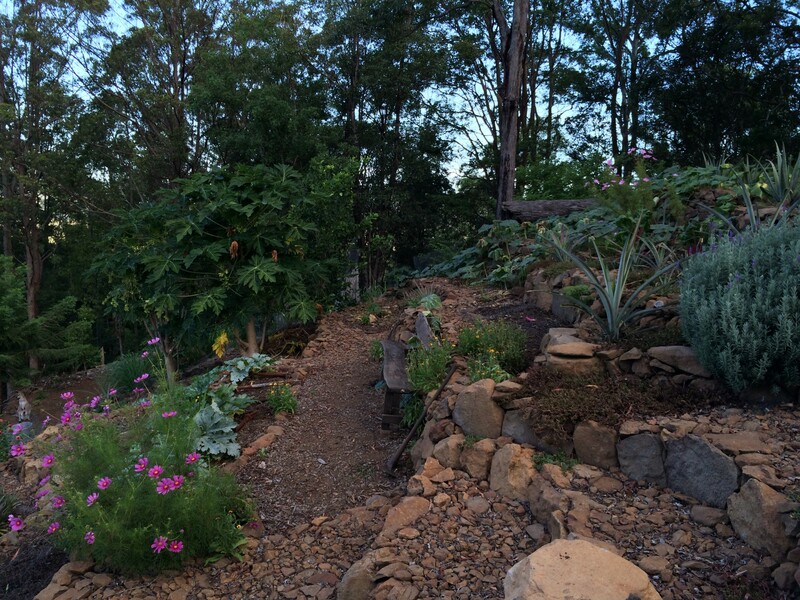 His garden has become a habitat for wildlife, the source of his preferred art materials and a cornucopia of foods, a supportive place for his meditation and arts practice, as well as a deep source of inspiration. * A Caldera is a cauldron-like volcanic feature usually formed by the collapse of land following a volcanic eruption. They are sometimes confused with volcanic craters. 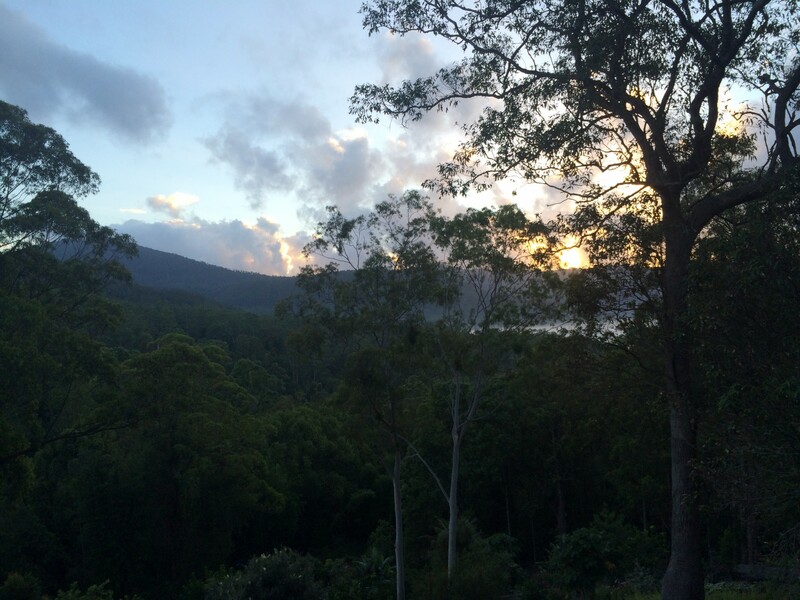 Lae's garden is situated in the North-Eastern part of New South Wales, Australia, formerly a vast area of luxuriant sub-tropical rainforest where the Bundjalung tribe was Carer of the Land for centuries before European settlers came to Australia. 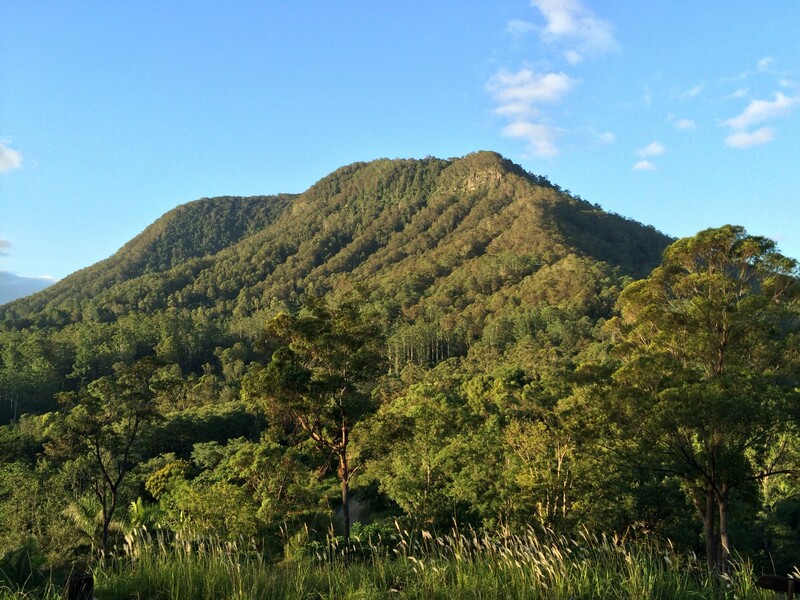 Nearby are the towering remains of an ancient volcano called Wollumbin which, over the past twenty-three million years, witnessed the creation of the surrounding fertile valleys. 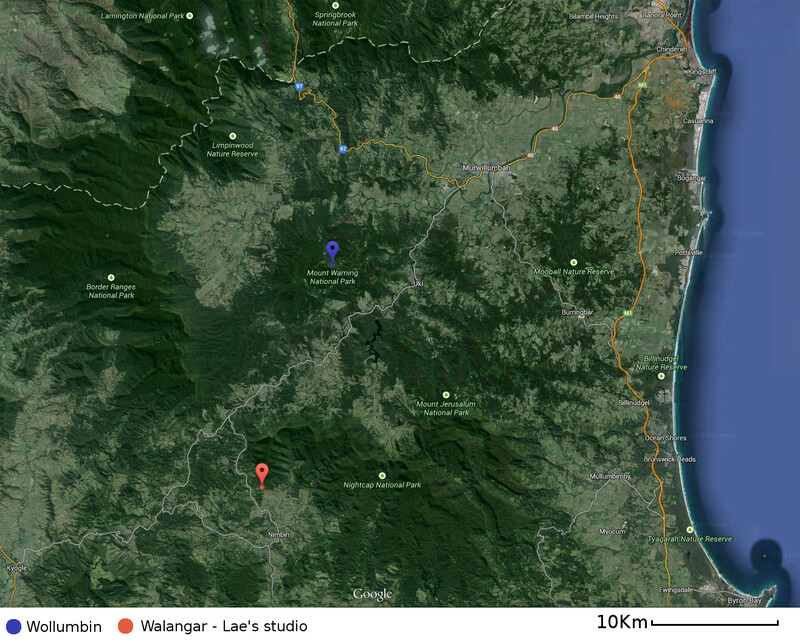 “Walangar”, or Meeting Place of the Winds in Bundjalung language, is a mountain on the basaltic slopes of the volcano's caldera which faces Oldmeadow's cascading Garden. 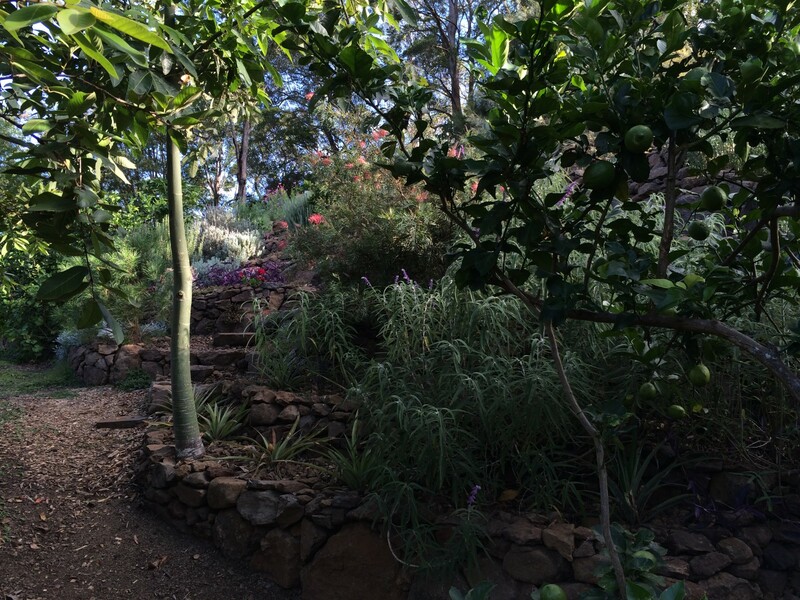 On warm days an ethereal blue mist caused by the evaporation of a very fine chemical substance from eucalypt tree leaves is perceived, from Lae's garden, to shroud the mountain.